Blog SEO 101 Tutorials What is interlinking and why it is one of the best SEO practice? You have heard this words often in your blogging career that Interlink will help you to rank better. 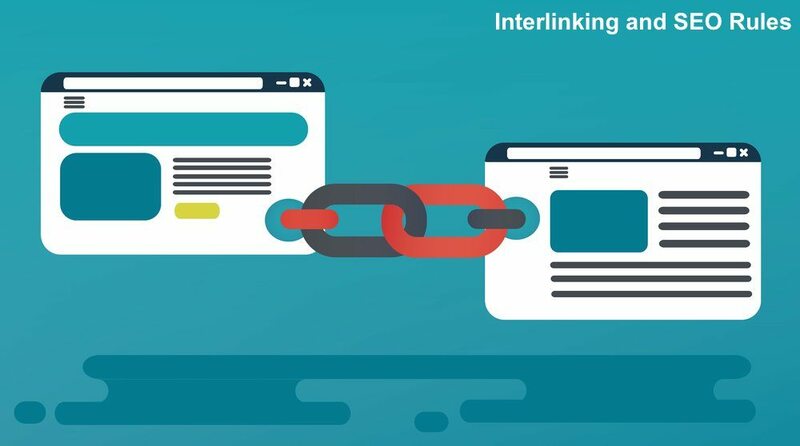 so in this Article, we will cover all the topics about interlink and how it is beneficial for better ranking of your Website or Blog. First of all, we will go over what is interlinks and interlinking? Linking means to create hyperlinks in your page or post. Interlinking is the process where your article has links to other articles on your site which is related to current article, so the reader can click and be redirected to another article on your site. When a user on your website is reading an article and that particular article is referred or related to another article on your blog then there should be a link that takes the user to that article for better understanding of your topic. It helps to increases average session duration by the visitor. It helps to reduce website’s bounce rate. It helps to increase the ranking for a particular keyword. It helps to increase the number of page visits par user. It helps Google to crawl your site better way and understand your niche. These posts should be in your blog as other articles and you should give these links to your related article. So when user will read this article, he will get the actual solution which he needs. So, when the user is about to finish reading your article about installing wordpress he needs to learn these things and you are providing links to that particular articles in your existing article. User doesn’t need to google that particular query and find a solution from another website. He will redirect to your website’s particular article and keep engaged with it. This will reduce bounce rate and increase trust score of your website. There is Element called Anchor Text Which have very important role in Interlinking and getting better ranking with interlink. Anchor texts are the texts on which you have provided links to another article in your article. This is a link to one of my article about How to Install and setup Self-Hosted WordPress . This link will redirect you to one of article on my blog and here Anchor Text is How to Install and setup Self-Hosted WordPress. Anchor text and interlinking also help Google Crawler to understand niche of your blog and related topics about article and topic. So google can serve better result of particular keyword search. This will increase Domain Authority, Page Authority and Trust Score of your website or blog. This is one of the biggest benefit of internal linking. 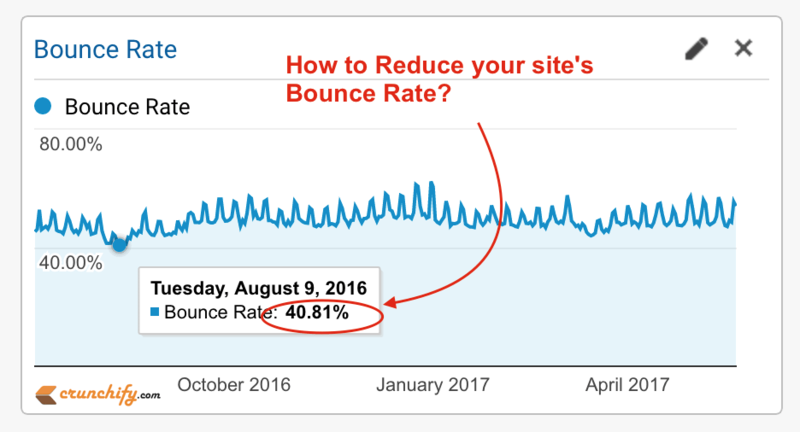 In simple language, Bounce rate is the percentage of one-page visitors for your blog or website. If your blog/website has 50% bounce rate then it means 50 out of 100 visitors slips away (go to another site or leave your website) from your blog/website by reading the only single page and without clicking internal links. Bounce rate is one the biggest factors that will affect SEO and Ranking of your blog. So it’s better to interlink your blog posts so visitor keeps reading your blog posts and don’t open another website or blogs. Google will rate blogs or website with less bounce rate as high quality and relevant and authority website. Decreasing bounce rate will increase your average page visit and session duration and trust score. Internal links help the visitor to navigate to another post after reading current post. And this process increase number of page views per user on your blog. More page views will increase your Alexa Rank and decrease your Bounce Rate. So apparently, you will rank higher in the search engine. It will also help in more CTR (click through rate) of advertise so you can get more relevant clicks on advertise on your blog. One of the factor Google includes into PageRank is the number of inbound links (backlinks) to your blog. In Every blog, there will be one or more blog posts, which have most of the backlinks and organic traffic. Because the more inbound links (backlink) your blog have the more PageRank of your blog will be. So, if you want to flow the PageRank of your Master Blog post to another blog post, you should interlink your older blog posts to master post. But remember that both posts are related to each other. These link will acts as an internal link to another older posts so it will receive some of PageRank Juice (visitors from the master post). NOTE: Always DoFollow your internal links, otherwise PageRank will not flow. If you have Long-term Blog and a large number of posts in your blog. Then older posts of your blog might not receive traffic and ranking. So internal linking to older blog posts to newer posts that are getting traffic will help you to flow traffic to the older posts and make an older post to be rank on search engine. Just think, a random visitor came to your blog, reads one of your blog posts, after reading the post, he will probably go to another website or leave your web page. But you should guide him with help of internal links to browse related article of that topic throughout your blog. If a user has truly enjoyed and get the solution of problem from your blog post, he will read some more blog posts of yours. So the user will be engaged with your blog and he might be your subscriber. Always interlink related content. It will helpful to both of you and readers. Google will observe the behavior of the visitors on your internal links, determines how closely the two parts of content are related (More clicks you get = More related topics are). Remember, don’t spam your post by interlinking irrelevant post to main post. Because user and google crawler will redirected to random pages which are irrelevant. So they might get disturb and can disturb your ranking and visits. How Google will see your Internal Links? While interlinking posts on your blog, Remember that you should not include links (internal and external links) more than 120 in a single page in case of normal website or blog. Because google crawls only 120 links for simple website. If you have authority website then you can add links up to maximum 250 links par page. So, include links which are the most important and relevant about your topic. This helps google to find out niche of your website and index in proper manner. You should interlink most important links into beginning of your article, because while crawling the page google will give more priority to first links then middle links. See all pages have first link as blog’s root domain and google will give more priority to it. So whenever you search for a blog using keyword, home page of your blog will be ranked first. Linking to the new blog posts in older blog posts helps you to speed up the indexation of your new blog posts because of ranking and crawling of older blog post. If your blog post 1 has target keyword KeywordA. And your blog post 2 has target keyword KeywordB. Then linking out to post 1 from post 2 using the anchor text KeywordA, enhances the ranking power of blog post 1 for the term KeywordA. If you have added 2 links of same web page with different anchor text in your single page then google will consider anchor text of first link and skips anchor text of second link. So adding two or more links into same page doesn’t boost your ranking power of that page. If you think that higher number of internal links distracts user from reading the blog post. So always remember that your links should be open in new tab. So that user can read current blog post and then they go to read another one. I Hope This Article clarifies your most of questions about interlinking and benefits of interlinking. I hope this will help to interlink your posts and rank your blog better in search engines.